Some of you might have noticed Laeliweyn has started something called Alt Appreciation. It’s a time for all the altoholics out there where we devote our time to appreciate our alts. I didn’t see her blog post until a couple of days ago so I’m a bit behind, but I’ll start now with the #HuntersWeek which is the current class. 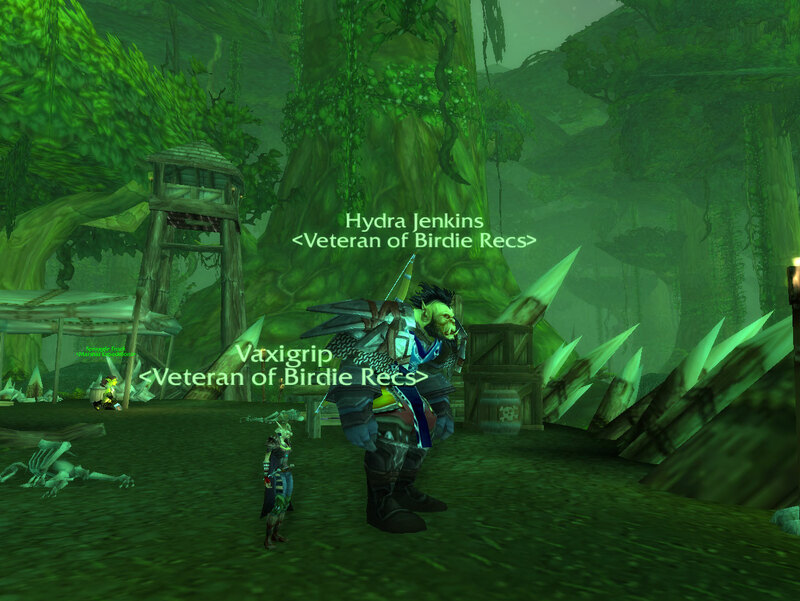 Anyway, back to #HuntersWeek – My hunter is currently a lvl 74 Orc Beastmaster Hunter called Hydra on Neptulon EU. 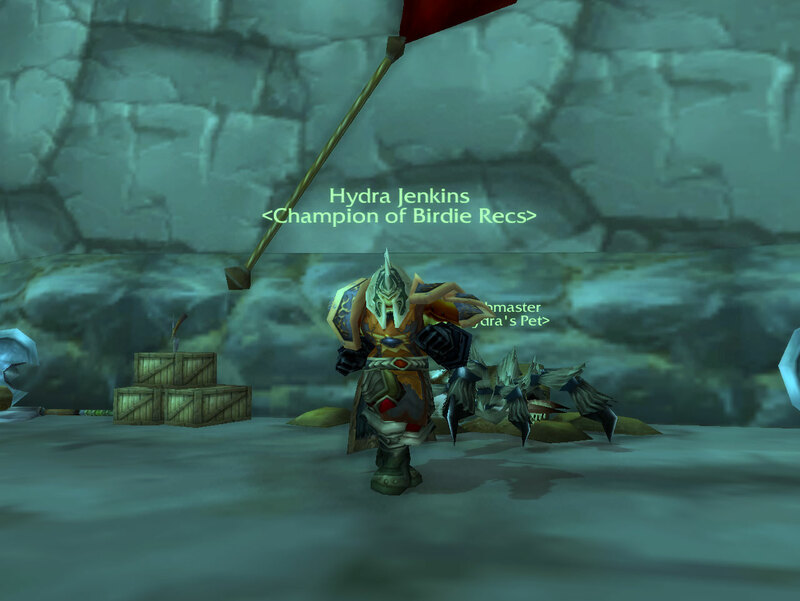 Disclaimer: I am not fakenicking the famous priest called Hydra, I didn’t even know him before I got all the whispers telling me I’m a fakenicker. I chose the nickname Hydra because it’s an awesome 3-headed beast from old mythology. Look it up. I also remember that I had to feed the pet quite often back in the day, or it would eventually leave me. This never occured to me on Hydra, sure I fed it a couple of times just to make it happy, but I don’t think they leave you anymore. The spell I like quite a lot is Arcane Shot. I know it’s quite boring, but when you get the tier 4 talent (lvl 60) called Thrill of the Hunt you can litterally spam Arcane Shot as 1/3 of your shots will be free of cost. It can get a little boring in dungeons so I like to mix it up a bit, and nothing is better than doing some heavy crits with Multi-Shot. Till now, the spider is my favorite PvP pet because it can web people. This is extremely useful in battlegrounds as it makes kiting 100% easier for me. When I first saw Bearstard, it was truly love at first sight. He’s been loyal ever since and helped me through rough times. I feel hunters are a bit OP, because I’m having an easy time in battlegrounds compared to some of my other classes, but there are still a lot of people who can pwn me… you just need the right tactic I suppose.